Ensuring quality care for moms and babies. 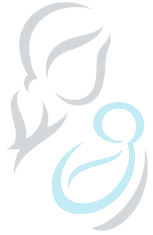 The Gift is an evidence-based program for Louisiana birthing facilities designed to increase breastfeeding rates and hospital success by improving the quality of their maternity services and enhancing patient-centered care. No cost resources and a framework to help birthing facilities improve breastfeeding outcomes. Technical assistance around policy development, quality improvement and best practice implementation. Recognition in the form of Gift and Shining Star designation. Support for pursuit of Baby-Friendly™ designation. Meet national quality measures and standards. Competitive edge in an outcomes-based health care environment. A way to meet the growing demand from mothers for breastfeeding support. The Gift is a program of the Louisiana Department of Health, Office of Public Health, Bureau of Family Health. It has been adapted from the Texas Ten Step Program and the North Carolina Maternity Center Breastfeeding-Friendly Designation Program. Download this infographic on strategies the Bureau of Family Health is using to increase breastfeeding rates and reduce breastfeeding disparities in Louisiana.